Cornerbacks and safeties in the National Football League are some of the most physically gifted athletes in the world. It takes a rare blend of size, speed, agility, quickness, and strength to overcome the league’s strictly enforced pass interference and illegal contact rules that heavily favor the players on the offensive side of the ball. Because of this, Pro Bowl-caliber players in the secondary are among the highest-paid players in the NFL. With training camps opening around the league this week, we decided to take a look at which teams have the best secondaries in the NFL. In compiling our rankings, we leaned heavily on the in-depth analytics and individual player grades from Pro Football Focus. We also considered factors such as All-Pro and Pro Bowl selections, raw athletic ability and potential, and each team’s defensive scheme. The team that we feel has the best secondary in the NFL was not much of a surprise, but you may find yourself to be taken aback by at least one of the teams that made our list or the fact that we included the secondaries from three of the four teams in the NFC North. Now, without further ado, here is a look at the top seven secondaries in the NFL heading into the 2015 season. 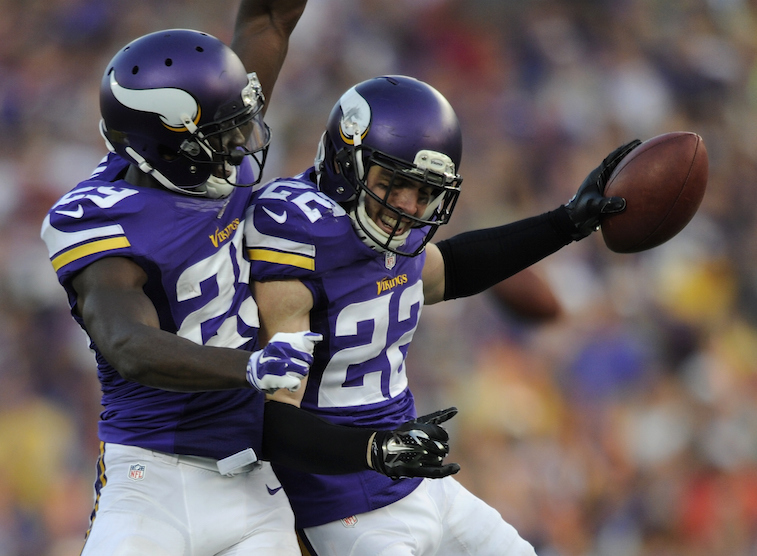 The Vikings have quietly put together one of the best secondaries in the NFL. 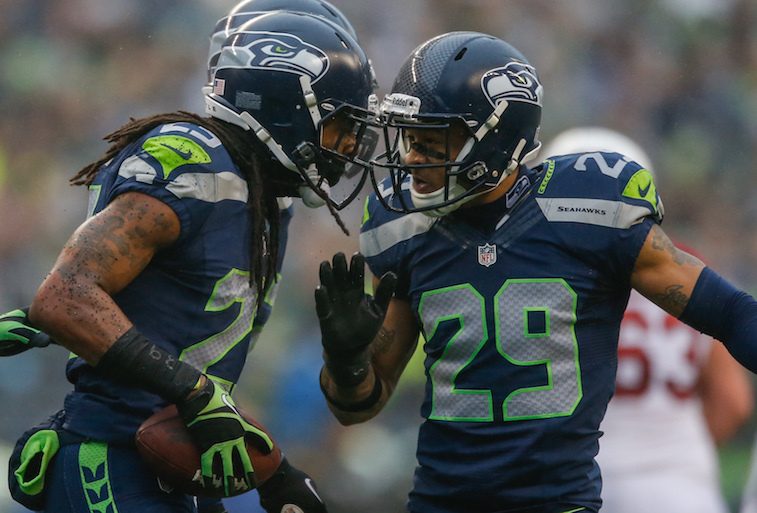 Their safety combination of Harrison Smith and Robert Blanton, both formerly of Notre Dame, may be the second-best safety duo in the league behind only Earl Thomas and Kam Chancellor of the Seattle Seahawks. If Trae Waynes, the team’s first round pick in the 2015 NFL Draft, is able to step in and make an immediate impact, this secondary group will undoubtedly be one of the best units in the league. Their running back, Adrian Peterson, may be getting all of the offseason attention, but the performance of the Vikings’ talented, but young, defense will go a long way in determining the success of the team in 2015. Cleveland defensive coordinator Jim O’Neil believes the Browns could potentially have the best secondary in the NFL. While that may seem like a bit of a reach, it’s not all that farfetched. In 2014, the Browns were one of two teams in the league that had every defensive starter achieved a positive pass coverage grade according to PFF. 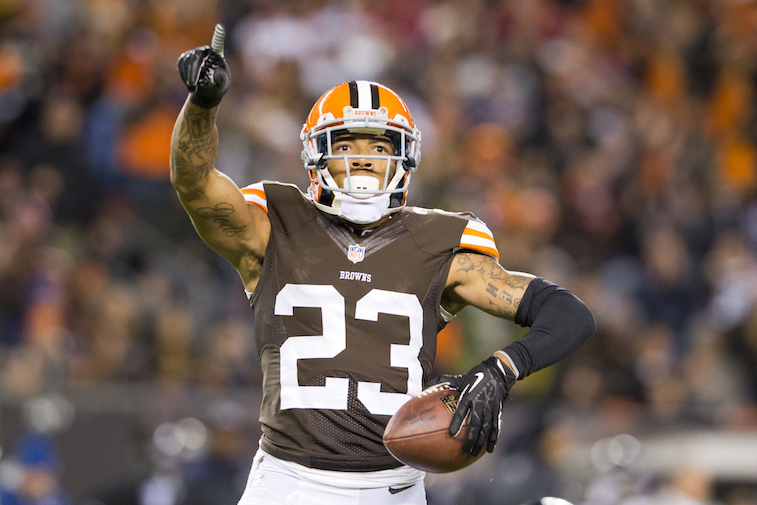 Their two best players, cornerback Joe Haden and safety Donte Whitner, are among the best players in the league at their respective positions and both are perennial All-Pro candidates. If Justin Gilbert, one of the team’s first round draft picks in 2014, can find a way to be productive in 2015, this group has the talent to be something special and could be the driving force behind a potential turnaround season in Cleveland. Make no mistake about it, the Packers are known for their high-flying offense led by two-time NFL MVP Aaron Rodgers. 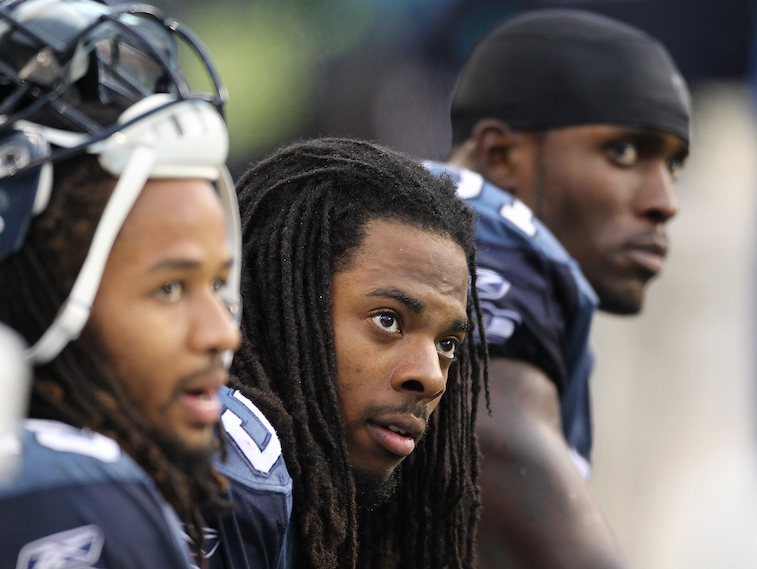 That said, they also happen to have one of the best secondaries in the league, as well. 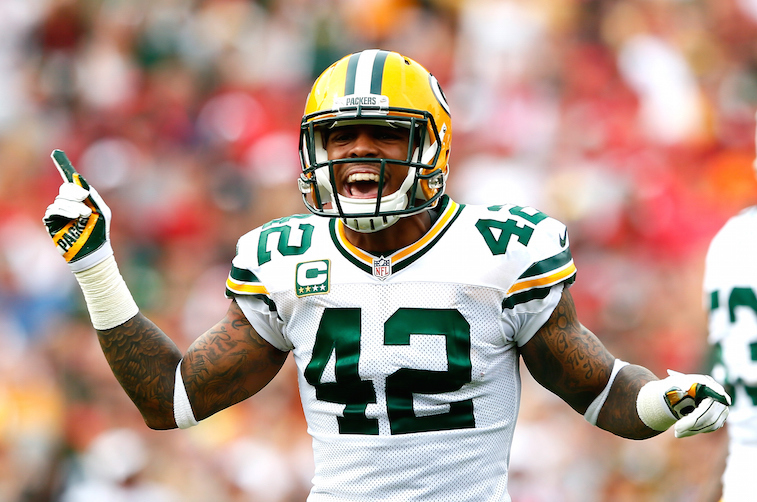 Safeties Morgan Burnett and Ha Ha Clinton-Dix make a dynamic pair and cornerbacks Casey Hayward, Sam Shields, and Micah Hyde give the Packers a solid trio of starting-caliber cornerbacks. If the Packers are able to unseat the Seattle Seahawks as the best team in the NFC this year, it will be in large part due to the play of this group. There may not be a big-name player in the Lions’ secondary, but this group is still one of best units in the league. PFF gave positive overall grades to all four of the team’s starters in the secondary for the 2014 season, which makes it clear that the play of this group was one of the big reasons the Lions were able to end their two-year postseason drought. Going forward, many people believe that they will have their work cut out for them to have a repeat performance in 2015 without defensive tackle Ndamukong Suh wrecking havoc in front of them. While they will surely feel the effects of not having Suh in the lineup, we would be shocked if the Lions secondary isn’t among the best in the NFL again this year. The Broncos’ secondary has an opportunity to thrive under new defensive coordinator Wade Phillips. They are in line to reap the benefits of having Von Miller, DeMarcus Ware, and Shane Ray harassing opposing quarterbacks in front of them on a weekly basis. But that actually doesn’t factor into our rankings. Based on sheer talent alone, this is one of the best secondary groups in the league. 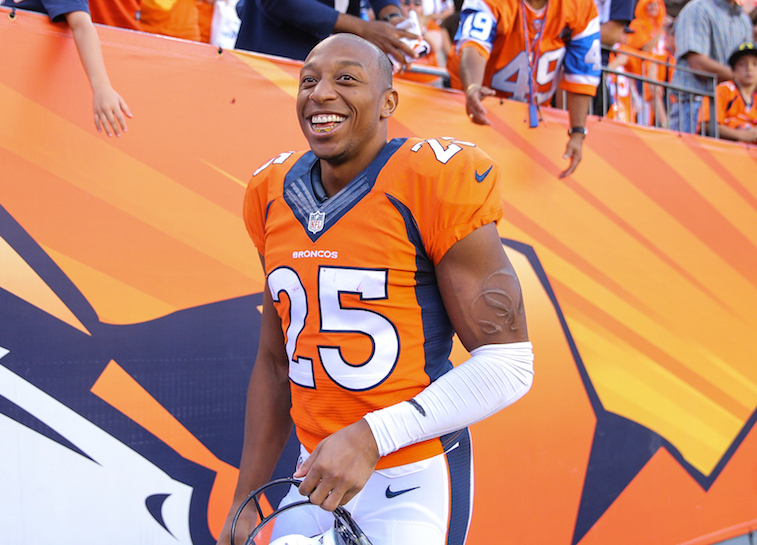 Chris Harris Jr. graded out as the best cornerback in the league last season according to PFF, and his counterpart, Aqib Talib, ranked 15th in the league. Second-year pro Bradley Roby developed into one of the better corners in the league by the end of his rookie season, and the team is expected to be creative in finding ways to keep him on the field at all times in 2015. They also happen to have one of the most physical safeties in the game in two-time Pro Bowler T.J. Ward. If things go well for the Broncos in 2015, they could have three players from their secondary earn All-Pro honors. The Jets completely revamped their secondary this offseason, and now have one of the top two units in the league. Their most important acquisition was future Hall of Fame cornerback Darrelle Revis, who signed a massive deal to return to the franchise he began his career with in 2007. PFF graded Revis out as the fourth-best cornerback in the NFL in 2014, but we believe that his ability to take away half of the field makes him more valuable than his ranking would suggest. At the other cornerback spot will be Antonio Cromartie, who like Revis is returning for a second stint with the Jets in 2015. Safeties Calvin Pryor and Jaiquawn Jarrett are both young and talented and will be looking to build off of their solid 2014 seasons. The X-factor with this group is Dee Milliner, the team’s first round pick in the 2013 NFL Draft. If he can come back from his Achilles injury and start to fulfill his immense potential in 2015, the Jets could very well have three Pro Bowl-caliber cornerbacks on their roster. 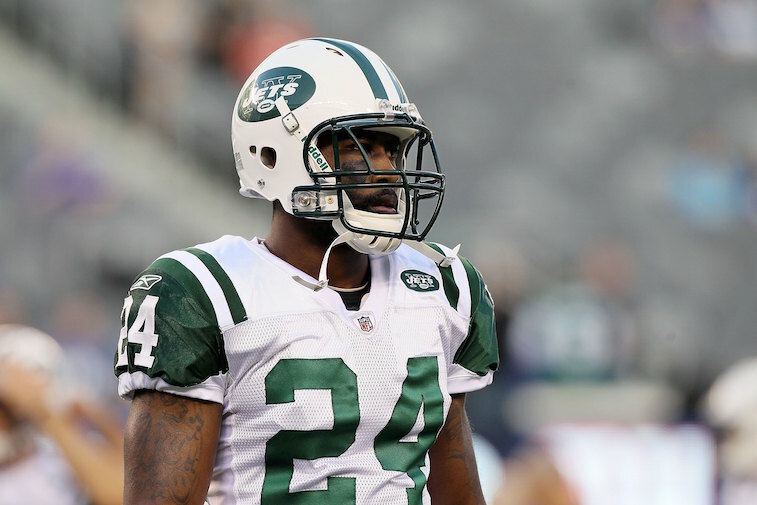 We believe the Jets are going to have a turnaround season in 2015, and their secondary is a big reason why. It should come as no surprise that the Seahawks are the No. 1 team on this list. Whether you love him or hate him, you cannot deny that Richard Sherman is one of the top three cornerbacks in the game. Free safety Earl Thomas is arguably the best safety in the game and would likely have at least one NFL Defensive Player of the Year trophy on his mantle if it weren’t for some other guy named J.J. Watt. As if having Sherman and Thomas wasn’t enough, Thomas’ counterpart, strong safety Kam Chancellor, is also a part of the “best safety in the league” discussion. Chancellor, who measures in at 6-foot-3 and 232 pounds, is one of the most physically imposing and feared players in the NFL today. This trio was so dominant in 2014, that all three of them were named to the NFL All-Pro team. In 2015, Cary Williams will likely be stepping in as the team’s other starting cornerback, and based on physical attributes alone, he should be a great fit. Over the last two seasons, the Seahawks have established themselves as one of the greatest defenses in NFL history. It simply wouldn’t have been possible without their incredibly talented secondary.